After the last game of the tournament on Saturday night, it was time for the individual Player awards. Great Britain’s Brett Perlini was voted the Most Valuable Player of the tournament. It was a tight race but Perlini, co-scoring leader within Great Britain together with Ben O’Connor, was voted MVP by media representatives from the participating countries. 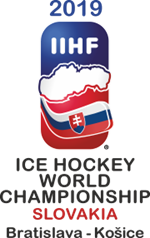 He also led the All-Star Forwards before the tournament’s scoring leader Roman Starchenko (6 goals, 2 assists) from Kazakhstan and Hungarian forward Balazs Sebok. Hungary’s Adam Vay was voted Best Goaltender by both the tournament directorate and in the media’s All-Star Team. Great Britain’s Ben O’Connor was voted as Best Defenceman by the directorate and is joined on the All-Star Team by Sabahudin Kovacevic from Slovenia.